This is an excellent book for anyone who is serious about witnessing to family and friends and/or wants help to succeed with their evangelism and sharing Christ. 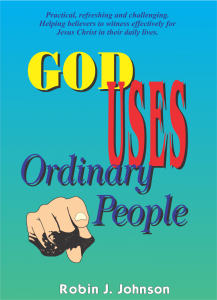 A great resource to read and also use as a text book in your “School of Evangelism”. A book that is easy to read and inspirational. As one reader said, “I couldn’t put it down once I started, just had to keep reading”. 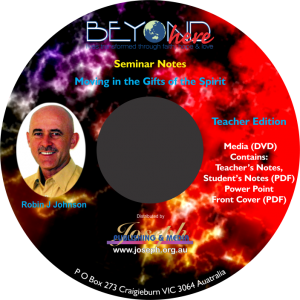 Teachers Notes: Moving in the Gifts of the Spirit is a seminar to help equip God’s people; to understand better, experience and move in the gifts/manifestations of the Holy Spirit. The media (DVD) contains Teacher’s and Student’s notes (PDF), Power Point and front cover art. You can use these notes to teach from yourself or just make them a part of the resources in your library. A 32 page Gospel booklet that is a powerful, thought provoking, clear and precise presentation of the Good News of Jesus Christ. This is the new and updated version with modern graphics, but the same powerful message which has been read by thousands and touched lives for nearly two decades. This presentation is available FREE to download to your phone or device and use as a “Witnessing Tool”. With only headings and eye catching graphics it is a great tool to use when witnessing to family and friends. Tell your story while outlining the Gospel story with the aid of this powerful witnessing aid. Use the contact form on the side panel to request your FREE download version. 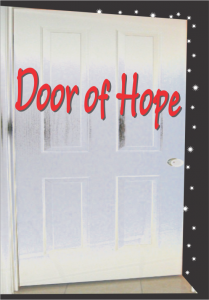 The DOOR OF HOPE is a modern, colouful tract, an ideal tool for reaching people who are seeking an alternative lifestyle and spiritual experience. The language and presentation should appeal to people seeking a spiritual encounter. Its contemporary appearance and language is suited for the seeker of “truth” and “enlightenment”. 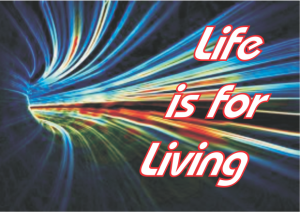 Previously this tract has been used by outreach teams at “New Age” festivals. For further information and/or help to purchase any of the above click here.